The senior pastor is the most influential person in any healthy church. When the senior pastor models behaviors, makes requests of the congregation, tells his story, or promotes a ministry, people listen. While this is true, we all know that many senior pastors have little to do with the small group life of a church. Some have chosen to never join a group, request the congregation consider joining a small group Bible study, or promote the ministry. With all this in mind, you can be certain he has no story to tell and no passion to make the groups story known. So what do you as a small group leader do in this situation? Don’t allow yourself to be bitter toward your senior pastor. Don’t blame him for others’ lack of participation in group life. Don’t whisper about his lack of passion for group life to others or speak of his lack of passion for group life during meetings. Don’t lose confidence in his ability to lead. Don’t allow this issue to affect your friendship with him. Pray that God will change his heart. Consider what might cause him to be hesitant to be in a group. He may have been hurt by church members he allowed himself to be friends with in the past. Tell of lives changed in small groups during staff meetings and in your personal meetings with the pastor. 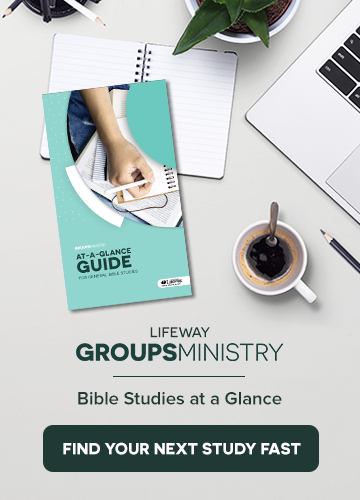 Ask for time to promote small groups during worship services and in the worship guide. Keep the elders and finance team up to date on what is happening through group life. Give them stats, share stories of transformed lives and families, and consistently make them aware of the vision you have for groups. Realize that you are the face and voice of small groups in your church. As often as possible, take center stage to tell the group ministry story, promote groups, and be the advocate for the small group ministry.